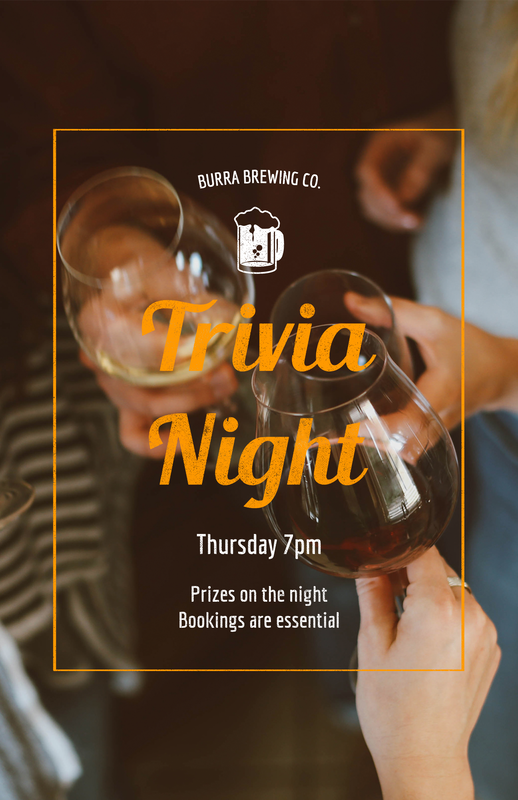 At Burra Brewing Co. we produce a variety of easy drinking beers that have been designed and brewed with the craft beer drinker in mind. They'll go down easily and leave you wanting more. At Burra Brewing Co. we are loudly and proudly independant. We are passionate about all things South Gippsland, and love being part of our growing regional network of producers. The idea of opening a brewery in Korumburra originated on a lads golf weekend (there may of been some beer consumed! ), but opening a micro brewery has been a long time dream of the owners. The idea of opening a brewery in Korumburra originated on a lad's golf weekend (there may of been beer consumed!) Opening a microbrewery has been a long time dream of owners Phill, Anthony and Luke. After Four years of planning and research, finally in 2017 it has become a reality. Phill brewed his first batch of kit beer at the ripe old age of 17. Shame that he had to wait a whole year to taste it! His favorite style of beer is a 'hoppy' pale ale. Luke has travelled and lived in Europe, and enjoyed sampling the many different styles of beer Europe has to offer. His favorite style of beer is a dark ale. Anthony is eager to bring the great taste of our beer to fellow beer lovers. He's hoping to convert a few non-beer drinkers as well!